There were quite a few questions from patients in the Memory Care Unit at Spring Hills Assisted Senior Living Facility in Middletown. The focus of their curiosity were two furry, interactive, robotic animals that respond to touch and sound by purring, wagging flippers or tail, blinking eyes and making pleasant vocal sounds. The group of Memory Care patients was introduced to the robotic animals in a therapeutic session led by a member of the Ohio’s Hospice of Butler & Warren Counties staff. 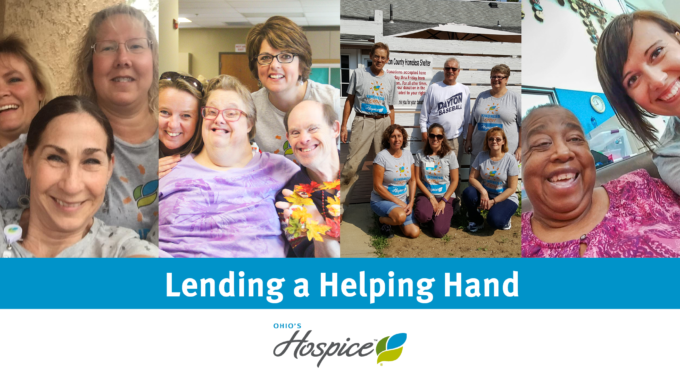 Ohio’s Hospice affiliates employ a variety of complementary services to benefit patients. Research shows that those with Alzheimer’s or dementia can become socially isolated and retreat from human interaction. Emotional connection is a basic human need. 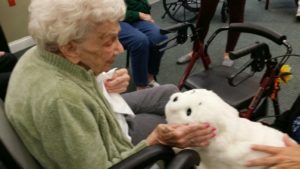 Ohio’s Hospice has found robotic animals can offer a safe alternative to therapy involving real animals, which can be impractical in community living settings. A study of using robotic animal interventions by the National Center for Biotechnology Information concluded that most of the elderly people enjoyed interaction with the robots. Outcomes of their use as a therapy including a reduction in the level of stress and increased immune system response, improved mood and increased communication. In addition, some studies showed the robots reduced the severity of dementia. 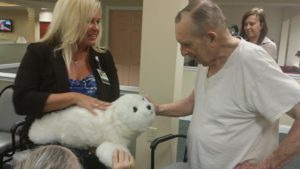 At Spring Hills, some patients responded with significant interest in the robotic animals, speaking and stroking the plush coat of the robot. The more the person interacts with the robot, the more responsive the robot becomes. Two robotic animals were introduced in the therapeutic session at Spring Hills. “Chloe” is a plush white baby seal with enormous and expressive eyes. Chloe purrs and wags flippers as patients stroke her and speak. Chloe turns her head in response to noise and blinks her eyes. A second robotic animal is a cat, which also blinks, purrs and meows as patients pet and speak. The physical demeanor of patients noticeably relaxes and becomes more animated as they interact with the robots and the robots respond. 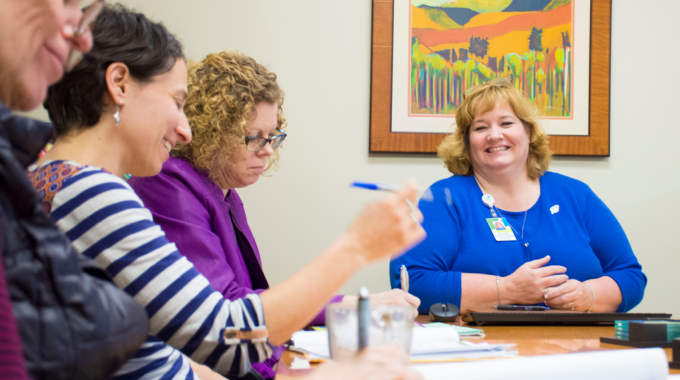 Robotic animal therapies are available at most Ohio’s Hospice affiliates. Please contact your local affiliate for more information by clicking here. previous post: Serve First. Then Lead.